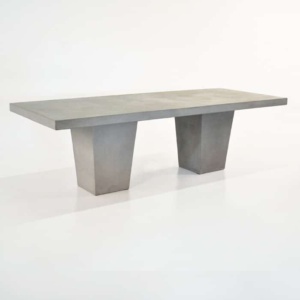 The Cee Cee dining table has an exciting design that features steel and concrete. 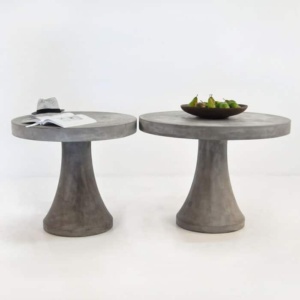 It is reminiscent of the iron works of the 1940’s and is an ideal piece for inside the home or outside. 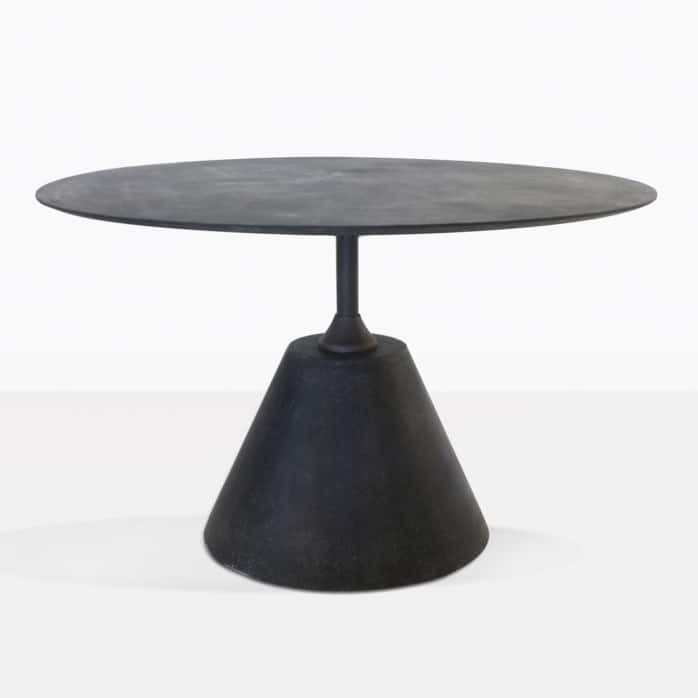 It’s especially perfect for a dreamy veranda, or in a very sophisticated upmarket Soho loft with exposed brick. 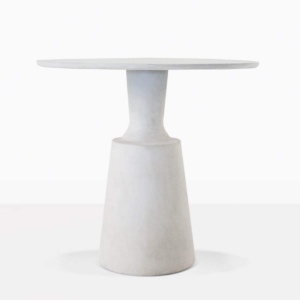 The tabletop and base is a special concrete, resin and fiberglass blend, which makes it perfect for outdoors. 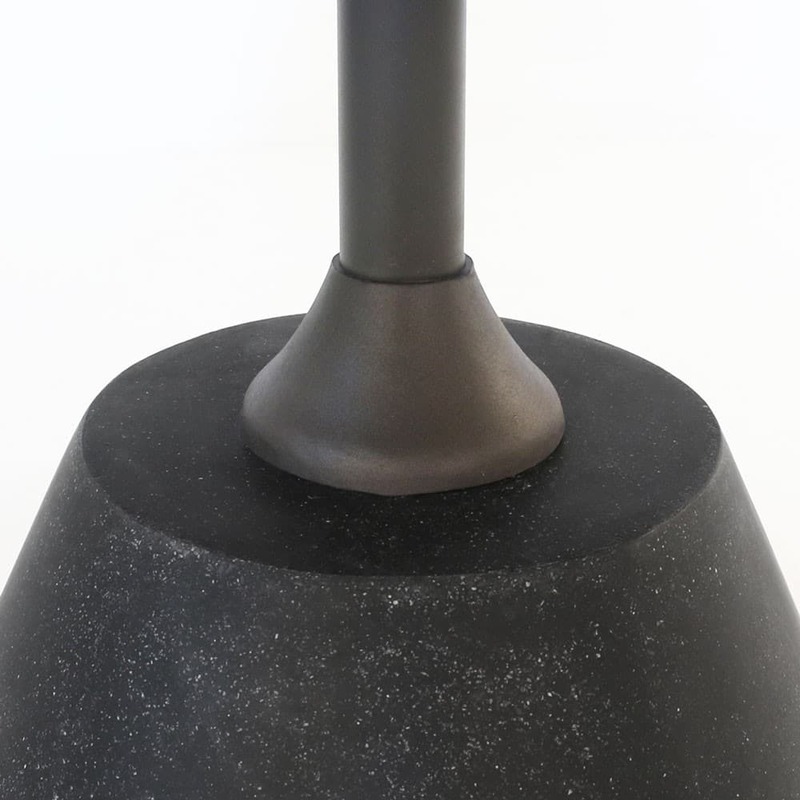 These two pieces are connected with a powder-coated steel pole that comes in a lovely bronze color. The manufacturer has added a final coating of outdoor sealer. This will help to prevent water from penetrating the pores of the tabletops, but spills should always be wiped up quickly. Come and visit us and see this vintage piece.